Standard [stan-derd]: used or accepted as normal or average. See also, boring. In my renovations, 'standard' does not always work for me. I find this to be true in bathrooms, in particular. 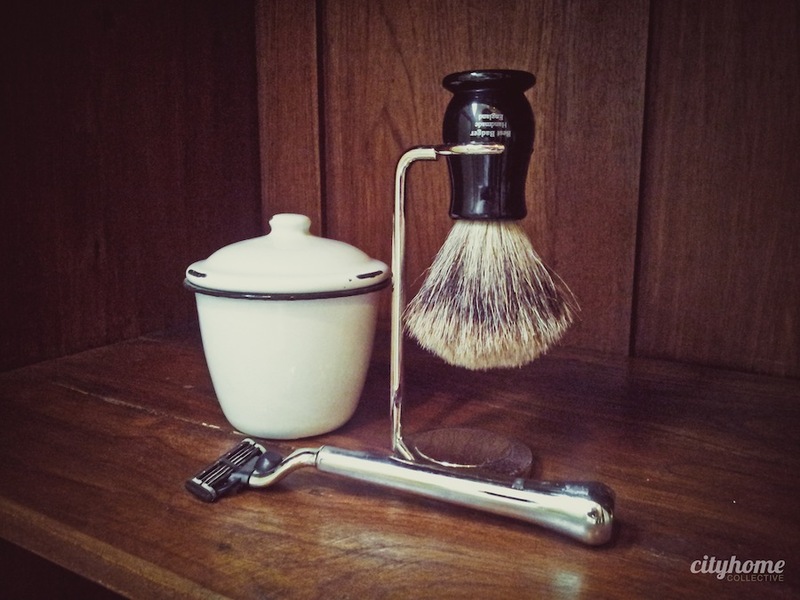 For any who have renovated a home built at the turn of the century, you may have found yourself sneaking inches here and there, trying desperately to fit current standards into a space that was designed for folks that were either tiny, or far less focused on grooming efforts. For that reason, and a boatload of others, it's best to think a bit differently when it comes to vanities. 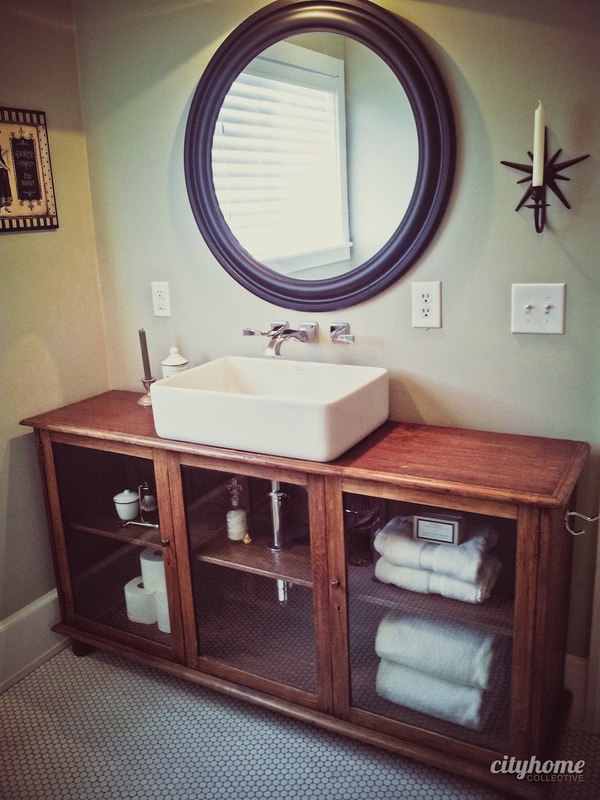 Below is the route we took in my own [recently and beautifully] renovated home; it's one option that will enable you fit a vanity into a less-than-standard counter depth, as well as bring a unique, eclectic style to your bathroom. a piece this unique effectively turns 'house' to 'home'. 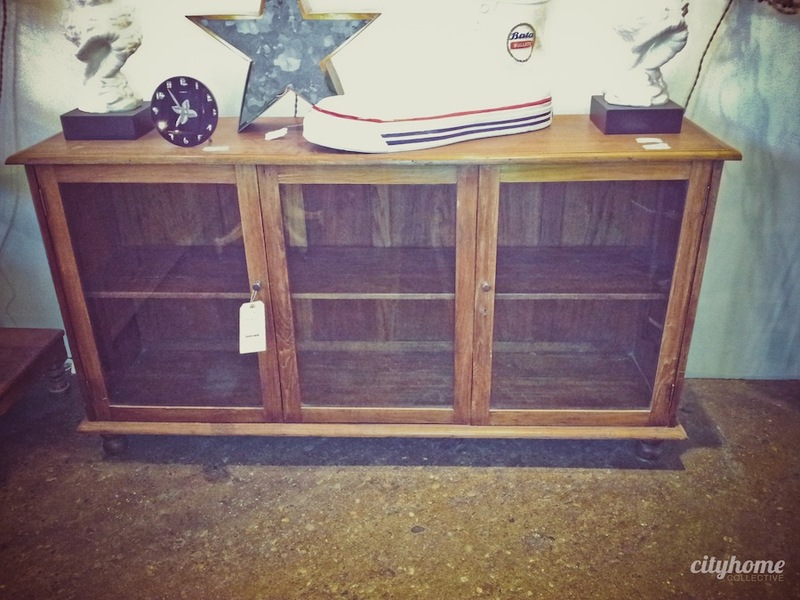 1st Step: I found this terrific sideboard at one of my favorite local haunts, C.G. Sparks, and it was only 15.5" deep. It added a much-needed 6"+ of space that completely changed that crowded feel of the space. 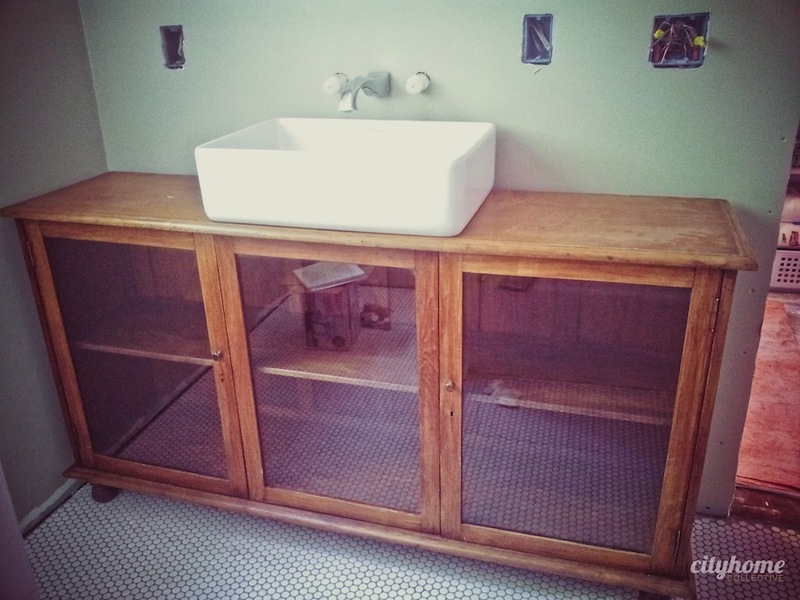 2nd Step: I needed to find a sink that would work with the piece without ruining the look of it. It'd be a shame to cover something so lovely, so I picked this beauty from Porcher. Though I tend to shy away from vessel sinks, it was an unavoidably perfect fit. Obviously, choosing a sink that matched the depth of the piece required a wall-mounted faucet, which made for more space saved. Double win. 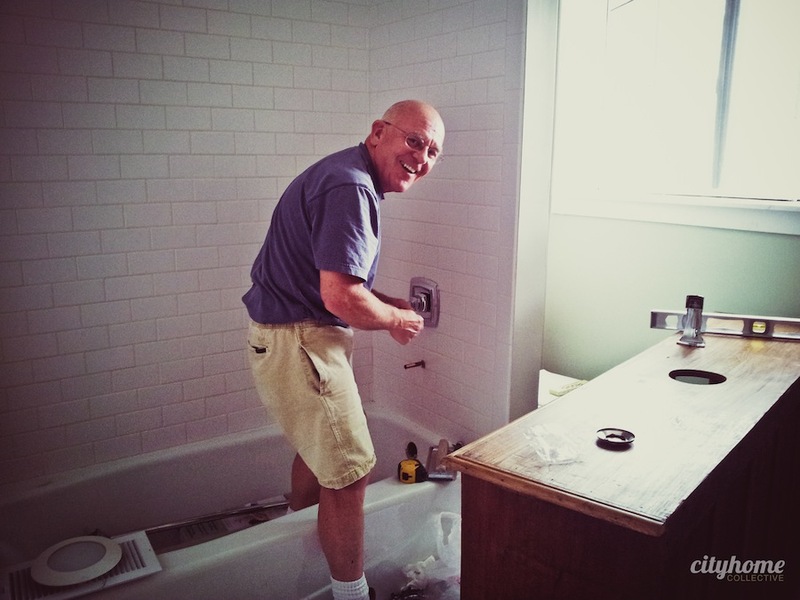 3rd Step: Mike is my favorite plumber, so I enlisted his help. 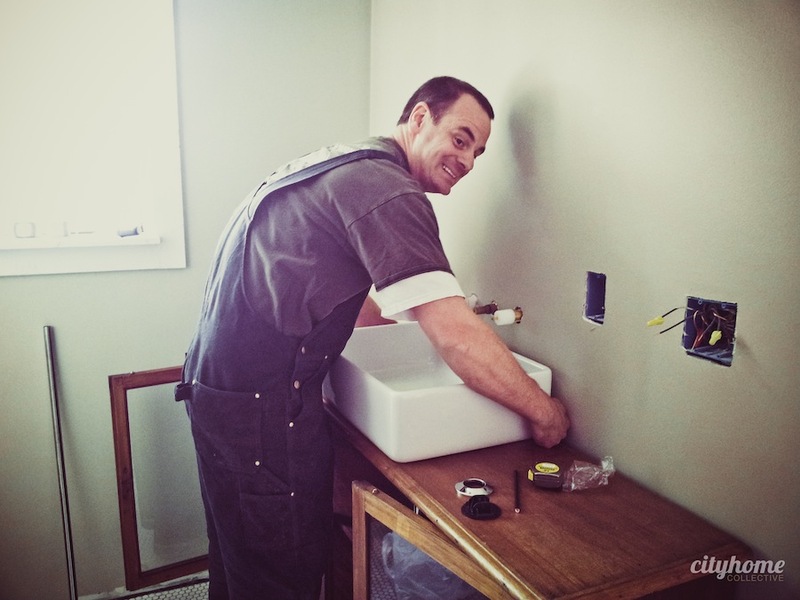 He and his dad [I get the pair of them when I am lucky] humored me throughout the process with design thoughts and opinions on all matters plumbing-related or not. Once I explained the goal, Mike made it work, drilling holes and sourcing the perfect chrome p-trap and other plumbing accoutrements. With the full-glass front, having pretty hardware was critical. All told, this solution is far more appropriate for the space, works with the style of the room and the home, and serves as a pretty/functional double-threat. It also happens to be a custom Leigh Anne Bernal [and friends] piece. When designing your space, don't confine your thinking to 'standard'; with a touch of effort and time, a piece this unique effectively turns 'house' to 'home'.